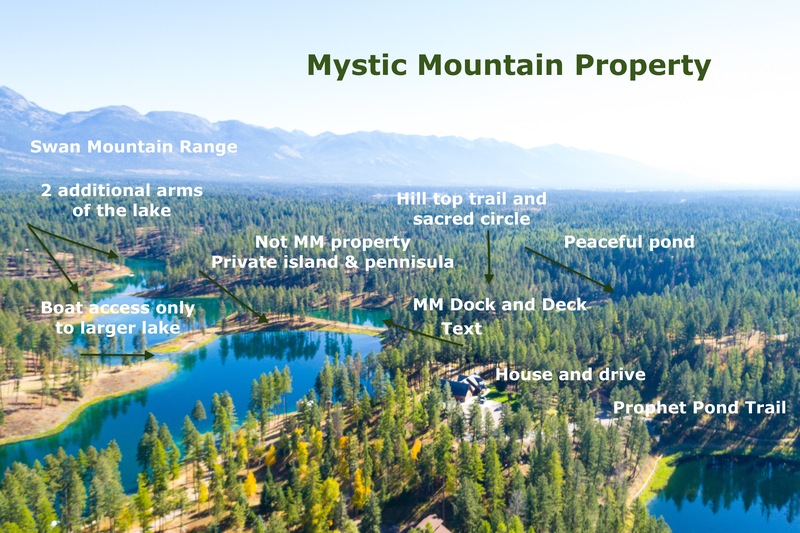 Guest guides and welcome pages related to Mystic Mountain Montana property. Insiders Guide: Our 6 page, color brochure. Fact Primer: Answers to some of the most commonly asked questions. House Rules: Simply stated guidelines on ways in which to respect our hospitality and stay safe doing so. Directions to Mystic Mountain: Don't rely on your GPS. We highly recommend you follow our directions to avoid a wrong turn. Favorite Things: A list of special things to do in and around Bigfork and the Flathead Valley in summer. Grocery Stores: A guide to local grocery stores in the area. Catering and Dining Guide: Cook in, dine out or have someone else do the cooking and bring it to you. Checkout Guidelines and Procedures: Communication is an important key between owners and guests. Mystic Mountain Recreation: There is so much to do on the property you won't want to go any where else! Mystic Mountain Trails: Enjoy 15 acres of hiking trails right on site. 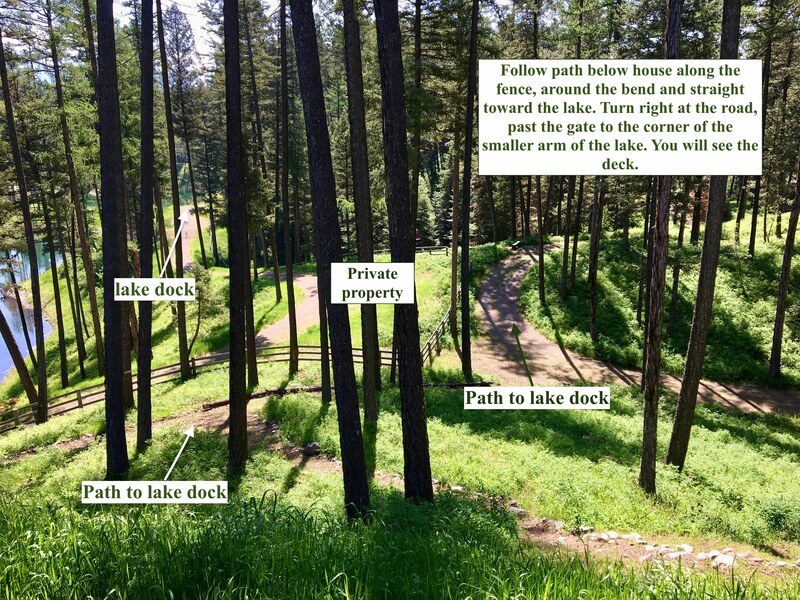 Trail to dock and lake front deck: Easy to follow visual path to the dock and deck. Arial overview of Mystic Mountain Property: Drone perspective of the property. Local resources to support your plans and make your stay in Bigfork a memorable one. Montana Resources, Websites and Helpful Links: Discover Montana, begin your quest for the ultimate retreat with pristine rivers, majestic mountains, wide open spaces and post-card perfect lakes. Flathead Valley Brochure: There's something for everyone in the Flathead valley. Hiking: A general guide to local hikes. Jewel Basin Hiking: Just a short 20 minute drive from Mystic Mountain, Jewell basin is a must see! Horse Back Riding: A local favorite activity in Montana. Golf: Offering 9 public courses with challenging layouts and unique experiences. Boating and Fishing: Flathead Lake is about the water. These companies will rent boats, kayaks, skis and other motorized water craft that will help you get the most from your Montana vacation. Fishing License: Here's what you might want to know in advance in Montana. Montana for Kids: Get kids off their devices and out in nature. So much to do, so little time! Don't see what you need or have in mind here? Still have questions? We're here to help. Please let us know what we may have over looked to include here and we're happy to do so.